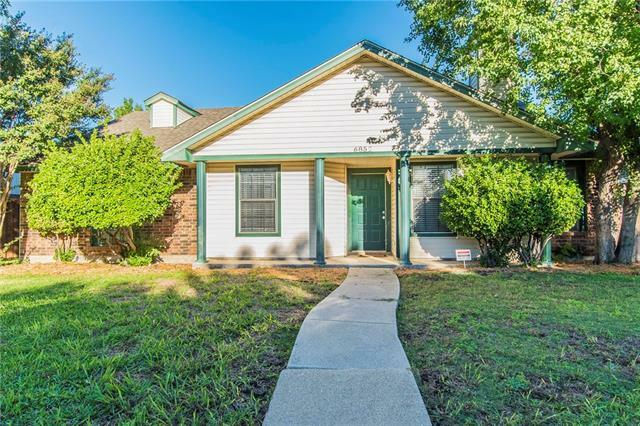 All Colony 26 homes currently listed for sale in The Colony as of 04/21/2019 are shown below. You can change the search criteria at any time by pressing the 'Change Search' button below. "New Roof installed April-2019! 1 story home with great curb appeal! Home has been completely renovated. Entry opens to beautiful wood-like floors throughout the living and dining room. Family room features brick fireplace and cute window seat attached. Brand new Kitchen features tall 48 inc. cabinets, granite counter tops, tile flooring and Samsung Stainless steel appliances. Master en suite has a his and hers sink with quartz counter tops. 4th bedroom could also be used as an office. Backyard b"